Pedestal sinks are often used in half baths and powder rooms, but these traditional sinks aren’t just space saving solutions. They can also be used to add vintage charm to a full bath. One of the main reasons these sinks aren’t used in larger bathrooms is their lack of storage. Below are some great storage solutions that will help you maximize space while enjoying the beauty of a pedestal sink. 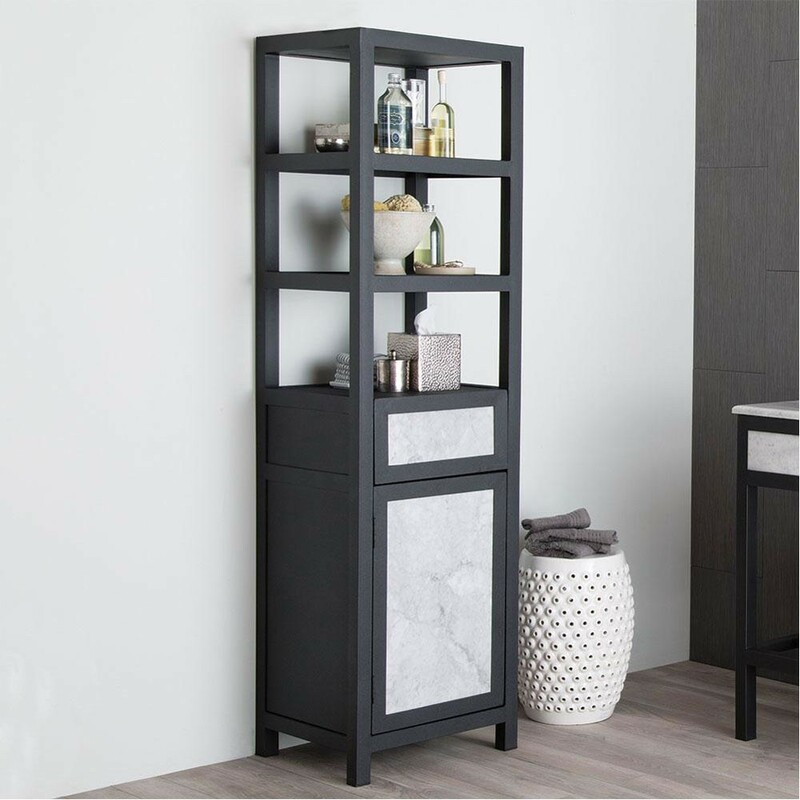 Linen Towers – Increase storage space with a linen tower or cabinet. These bathroom storage solutions are available in freestanding and wall mount options and are perfect for storing towels, washcloths, and other bathroom necessities. Bathroom Shelves – Install a shelf above your pedestal sink for easy access to things you use every day. You can even add a decorative vase of flowers to enhance the overall look and appeal of your bathroom. Another great place to install a shelf is above the toilet. This can be used for storing toiletries or magazines. Medicine Cabinets – Not only does a medicine cabinet serve as extra storage space, it also includes a mirror. At Vintage Tub & Bath we have a variety of medicine cabinets to choose from, including the popular Whitehaus Musichaus medicine cabinets, which have USB, SD Card, and Bluetooth capability, and are equipped with FM radio and two speakers. You’ll never have to sing solo in the shower again! Other items like a wall mount toothbrush holder or soap holder are also great ways to maximize your bathroom storage. Don’t let lack of storage keep you from the pedestal sink you’ve been dreaming about!